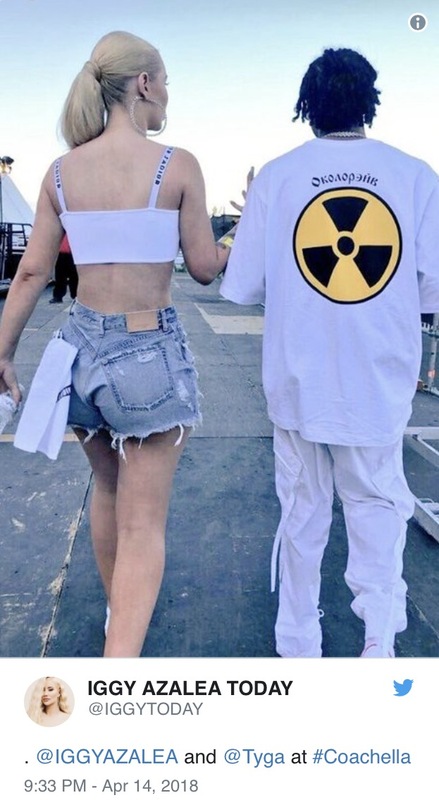 Tyga and Iggy Azalea attended Coachella together this weekend, sparking rumors that the two rappers are dating. Both of them showed up to a TAO x Revolve Coachella party in Palm Springs hand in hand where attendees included Tyga's ex-girlfriend Kylie Jenner, Travis Scott. The Weeknd, Nicki Minaj, Quavo, Chance the Rapper, and other notable guests. This is the second time the two have been seen at a festival this spring. In March, she made a surprise appearance during Tyga's set at the Jumanji Festival in Melbourne.